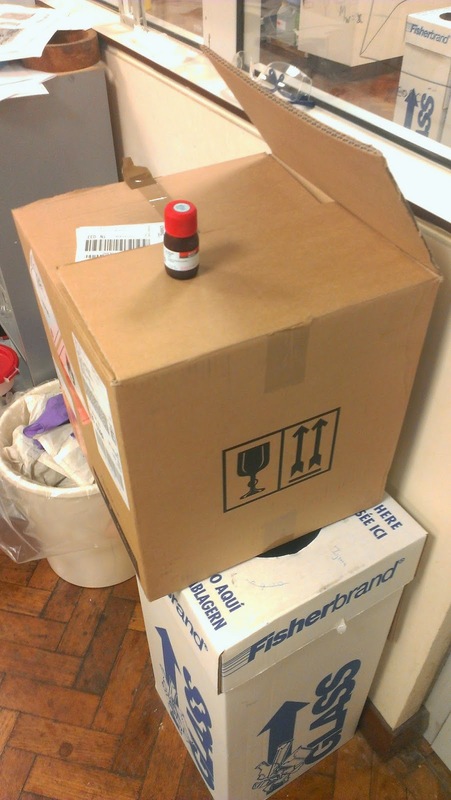 It's the Rheo Thing: Will we finally see less packaging when ordering lab chemicals? 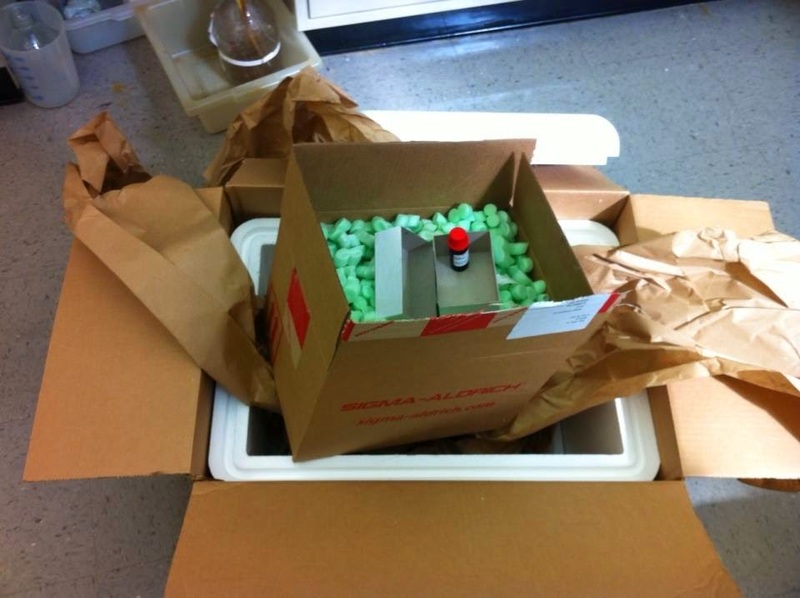 Will we finally see less packaging when ordering lab chemicals? Anyone who has ever received lab chemicals could add to this with tales of bags inside metals can packed with vermiculite inside bags inside boxes...The bottle inside the Russian Doll-like packaging is called the primary package. The next layer out is the secondary packaging, the third layer out is the tertiary packaging. Here's your English language trivia tip of the day: there are words to describe the 4th, 5th, 6th, 7th, 8th, 9th, 10th, and 12th layers, but not the 11th. Ironically, bulk chemicals are shipped with far less packaging, often in something as simple a plastic tote (maybe in a steel cage), or a double-walled tanker. Thank goodness for that. 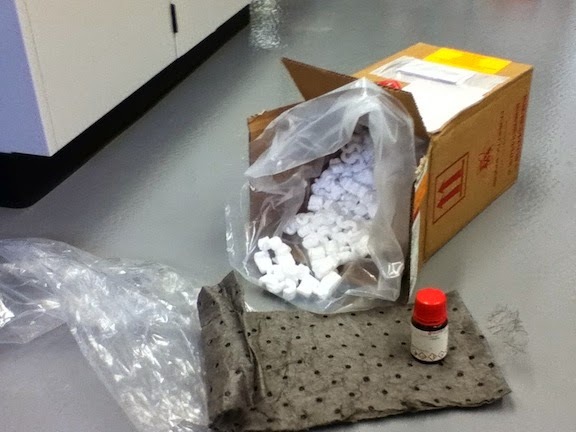 I can't imagine how many expanded polystyrene peanuts Aldrich could use to protect these larger quantities. Ensuring that a chemical arrives in undamaged condition is very important, but since there has historically been little need to keep the final box small, then the result is as seen above. Hopefully this will now change with the new charges. Why are polymers more complex to recycle?